Since Pokemon GO was released earlier this month, it has just gone from strength to strength. 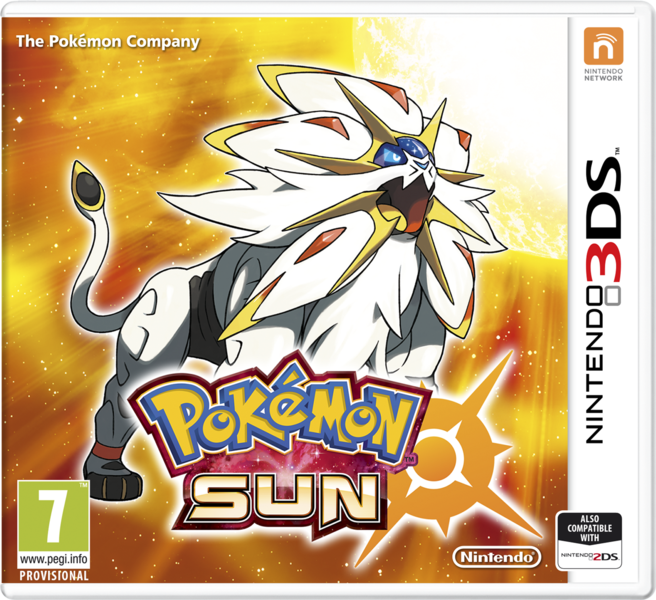 Whether it’s topping the charts, breaking records or putting Nintendo’s market value above Sony’s on the basis of this one game alone, it’s clear the Pokemon phenomenon is back. But no game is perfect, and Pokemon GO is no exception. So here are five features that should be added to improve Pokemon GO. So let’s start with the first improvement that could be made to the game. The addition of Secret Bases similar to Pokemon Ruby and Sapphire. Well basically, they’re player run gyms and headquarters, often located into remote areas. You choose a nice looking location, use Hidden Power, and hey, you can now lay down furniture and challenge anyone who comes by as a result. It’s a simple mechanic, and I think it would be great for Pokemon GO. Why? Well, multiple reasons really. But the first one is that they’d provide a more ‘typical’ gym like experience to the ones in the current game. Because Pokemon GO gyms are not really anything like actual Pokemon gyms. You fight Pokemon there, sure. But it’s one at a time. You take them over if you win. And its all tied to the team mechanic in the game. Secret Bases could provide a sort of smaller ‘traditional’ gym setup. 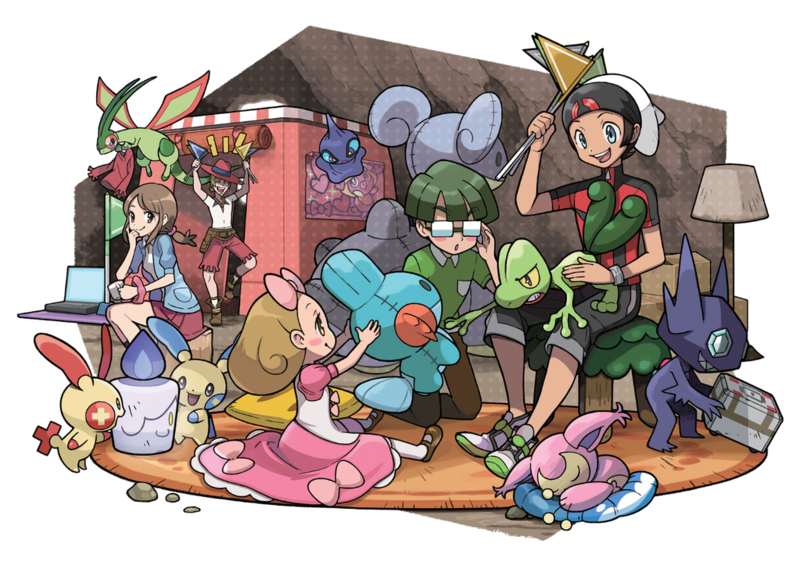 Where the owner could basically act like a gym leader (with their own team) and the base would provide a way for other people to battle them (like in Ruby, Sapphire and Emerald). This would let users create all kinds of themed teams with certain types without worrying that someone else will take over their location. They’d also provide something to do in remote areas. Because at the moment, there’s not as much outside of large towns or other inhabited areas. And as a result, it means people climbing mountains or exploring forests don’t have as much of an incentive to use the game as someone heading down to the local park. Secret Bases could fix this too. People would see the interesting symbols on the map, then start looking for bases to come across and people to battle inside. You could even use them to mark interesting spots that otherwise wouldn’t have a purpose, like a strangely shaped tree, a cave on a remote island or an interesting piece of architecture. Add the possibility for customisation (like maybe a custom icon for the map, or decorations that appear when you walk nearby), and it’d provide a lot of value for people who want to make the most of the world around them. Another way the game could be made better would be by including special locations for legendary Pokemon. Because you see at the moment, there’s not really an incentive to explore that much of the world. I mean you can, no problem. But Pokemon are simply more common where there are more phone users. So in cities, parks, universities, that sort of place. And this really takes away from the feel of the Pokemon series. Think about it, where did you encounter the best Pokemon in the main series? Distant places far away from anyone else. Like Mount Silver, Sky Pillar, the Unknown Dungeon. Places that would take significant amounts of travelling and preparation to get to. You didn’t find them in the middle of Saffron City or Lumiose City. So I think the game should add special legendary locations to kind of incentivise people to get exploring a tad more. These would be like Pokestops or gyms, except with a special powerful Pokemon like one of the legendary birds or Mewtwo found there instead. You’d then battle them (like you were in a gym), and get the chance to capture them if you win. And they would deliberately be set to difficult locations to get to. They wouldn’t be houses or shops, they’d be caves thousands of miles from town where a legendary ought to be hanging out. Or at some point of interest near the top of a mountain, like a piece of artwork or ancient set of ruins. They’d be on an island in the middle of the ocean or a large lake where merely the act of getting there would be a challenge. It would give players a reason to go exploring. To go on more interesting journeys across the country like in the main series games or anime. To check out landmarks and buildings they may not have known existed. And do you know what else the game needs? Pokemon from other generations obviously! Gen 1 had some good monsters in it, but a Pokemon game without the other five or six generations feels a tad empty none the less. 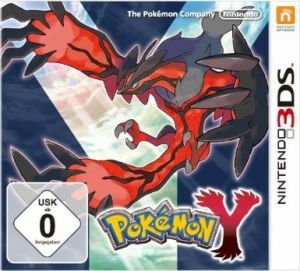 Add all the awesome possibilities for making the game go even more ‘viral’ (like say, pictures of Darkrai, Genesect, Yveltal or Rayquaza in real life situations), plus the ability to market gen 6, and it’s clear the other Pokemon should be added. 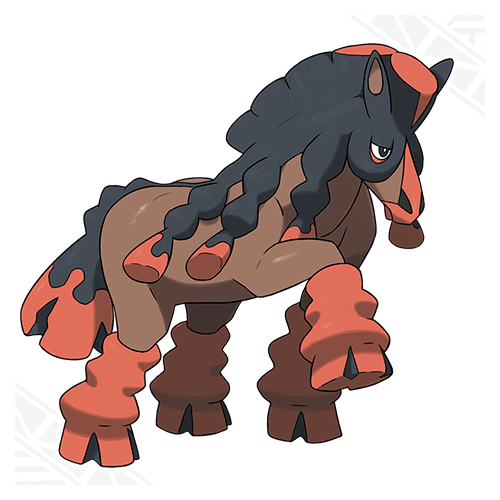 Above: Nintendo will want to market gen 6 Pokemon here too. But they should be added carefully. Because if you update the game and then just chuck about 800 more species of Pokemon to collect on people, they will probably give up really quickly. And if you put them absolutely everywhere, then you’ll end up in a situation where getting multiple Pokemon of a single species (to evolve them) would become more trouble than it’s worth. So the answer is to make it work on a regional basis. Basically, each part of the world gets more Pokemon from a certain region (like Unova for North America or Kalos for Europe), but Pokemon outside of that region can also appear as well. So there might be say, a 60% chance of a region specific Pokemon appearing in any area, and a 40% chance of one from elsewhere appearing. It’s already done for Farfetch’d, but this concept can be expanded significantly. They’d also be made specific to smaller locations too. So every few miles or so, the types found change slightly. Like, one or two new species might possibly appear, with one or two existing ones not being present any more. This would then let people encounter specific Pokemon in a way a tad closer to the games. Which is pretty obvious, isn’t it? Just have the option to challenge people in the area to see whose team is better. Okay, you’d have to add a bit of functionality to limit the number of Pokemon you could choose (like 6 for a battle), but other than that, it seems like it wouldn’t be too difficult to implement regardless. Still, battling is a fundamental part of the series. And at the moment, it’s also a part that’s basically unusable for anyone who doesn’t live right near a gym or pass by one on their daily journey. Pokemon battling can fix this, and make the whole concept of training up Pokemon actually somewhat meaningful for the vast majority of players. Add how much it improves the game’s ability to get people to socialise with one another, and how it inspires people to put more time and effort into playing, and standard battles are an absolute must add feature for Pokemon GO. Because dear god, this is the one feature that would make Pokemon GO literally triple in popularity over night. And that’s saying something! Why would it be such an amazing addition? Well, because the mobile app format and the popularity of the game simply makes it so much easier to trade than ever before. In the old days, you needed to remember to bring your game console and game at all times. 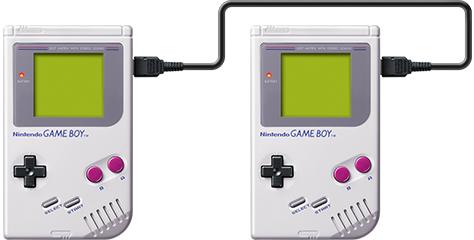 In the really old days, you then needed an (incredibly awkward) link cable on top of that. Which made sense given the technology, but also meant a lot of possibilities were missed due to various real life issues getting in the way. You also needed people with an actual interest in the game, which was a lot rarer in some areas than others. Pokemon GO has no such issue. Everyone has a smartphone. Everyone playing the game has it available to them at all times. You don’t need any accessories to trade any more. And heck, with so many players, it means finding good people to trade with is a snap (even without something like the GTS being implemented). Either way, you give people a great way to socialise with each other even more and the means to make even local trips somewhat productive again. Event Pokemon and stuff, which could be tied to sponsored Pokestops. You could provide an incentive for people to visit a certain museum or theme park by letting them trade Mew or other mythical Pokemon to their game. Trade evolutions, which could be used to make Gengar, Golem, Machamp and Alakazam obtainable in ways much more akin to the actual games. What’s more, this could even be a nice way to introduce new Pokemon. Want to gradually get people interested in generation 2? Make it so Onix, Scyther, Poliwhirl and Slowpoke become Steelix, Scizor, Politoad and Slowking respectively when traded. That would get people wondering about all the new Pokemon possibilities, and provide an interesting way to get the hype up a bit more beforehand. Imagine everyone seems pictures of some guy’s Scizor and wonders ‘what is that?’ It’d certainly draw speculation to when the next generations were coming. Or if they’d been more available already somehow. And how the above likely involves trading or transferring Pokemon in some way, and it’s quite clear that the feature needs to be added to Pokemon GO post haste. So that’s the list of features Pokemon GO should add in the future. What do you think of our choices? Are there any features there that might not work well? Any major aspects of the series that should also make their way in Pokemon GO? If so, post your thoughts here on Gaming Reinvented or on social media today!